Unreal Lawns supply and install artificial grass in Blackburn and the north west of England. We serve domestic and commercial customers in the area, with products suitable for a wide range of applications from outdoor spaces and gardens, to event areas, exhibition space and more. See below for some examples of projects we've carried out in the Blackburn area. 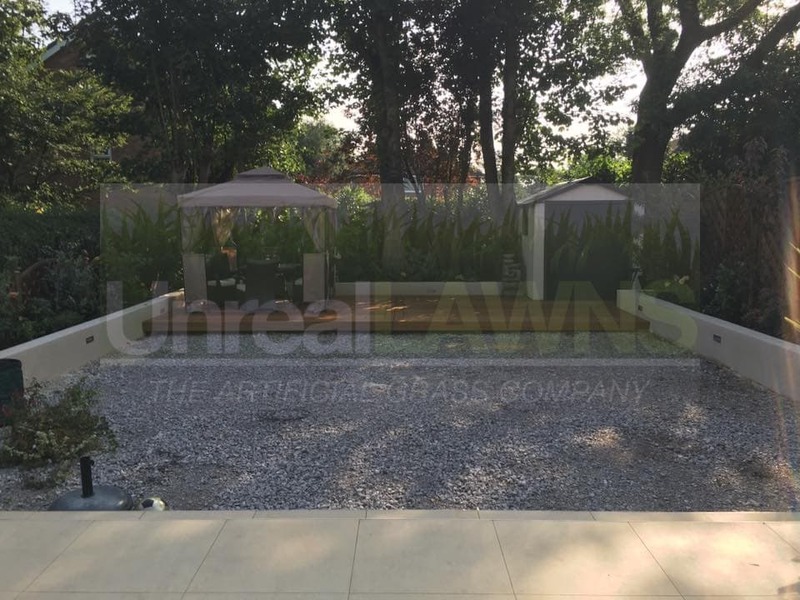 A customer in Blackburn asked Unreal Lawns to come and install artificial grass in their modern-looking back garden. We used our Luxury 35mm artificial grass to complete the job. As you can see from the photos, this goes perfectly with the rest of the garden, giving a contemporary and tidy aesthetic to the space. The lawn will remain green and neat all year round and requires no maintenance for the homeowners to worry about. Unreal Lawns visited this garden in Blackburn to make it more dog and child friendly using artificial grass. 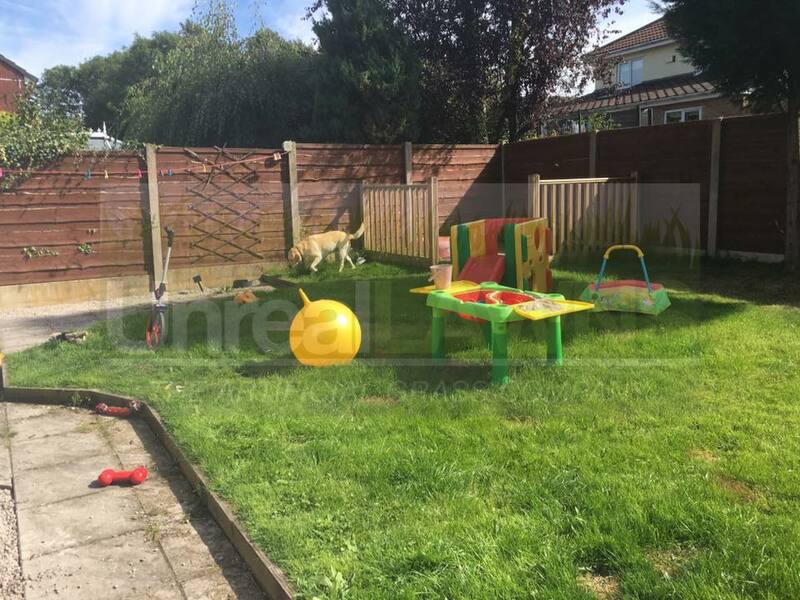 The customer had become fed up of the wear and tear that was being caused to their previous lawn from the dog and children playing on it. Using our Luxury 35mm artificial grass, we provided the perfect solution. The garden is now ready for all the children’s toys and usable for playing on all year round. The customer was delighted with the neater and tidier lawn, and no longer has to worry about the maintenance involved in the upkeep of a real grass lawn. 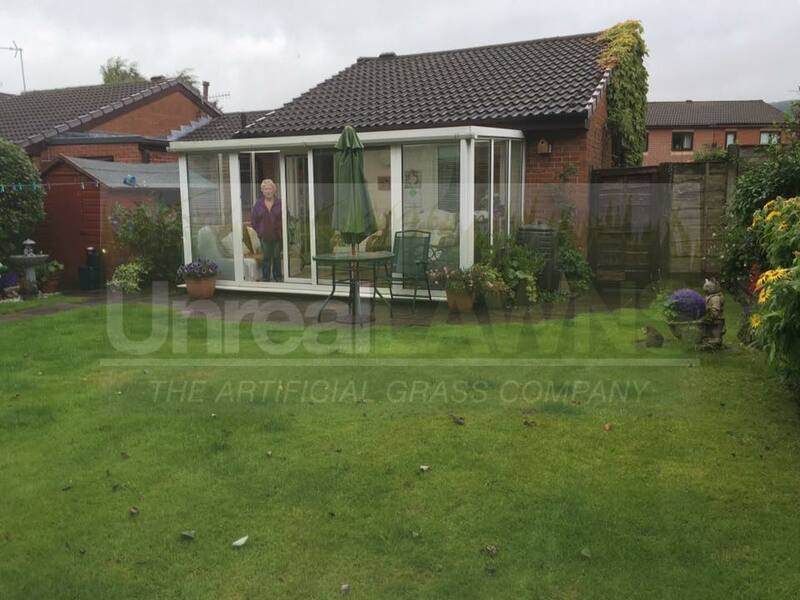 We were approached by a couple in Blackburn to come and replace their existing lawn with an artificial grass lawn in the rear garden of their bungalow. The large garden was fitted out with our Supreme 38mm artificial grass, resulting in a lawn that will require less maintenance than their previous lawn and remain green and tidy all year round. Just what the customer was looking for! They were very happy with the result, and can now enjoy their garden without constant upkeep of their lawn.